These chemicals have been developed for specific use with pressure washers. Biological de-greaser for smooth and porous surfaces. The microbes in this product are activated when mixed with water, breaking down oil deposits, dissolving the stain turning into water and carbon dioxide. Some of this product will remain active until all the oil has been consumed. A non-caustic traffic film remover for general goods vehicle cleaning and general light degreasing. 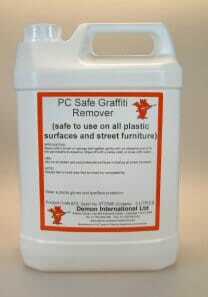 Can be used to remove film and greasy deposits from cars, vans, commercial vehicles, tractor units and light plant. All purpose heavy duty traffic film remover for use in heavy fleet cleaning, MOT work and heavy degreasing. Cuts through stubborn grease and grime on tractors, trailers, plant, tilts and curtains and parts cleaning.